This particular set is for four soldiers of the Wiking Division in 1944. They are mostly wearing the later camouflaged uniform that will be interesting to paint. 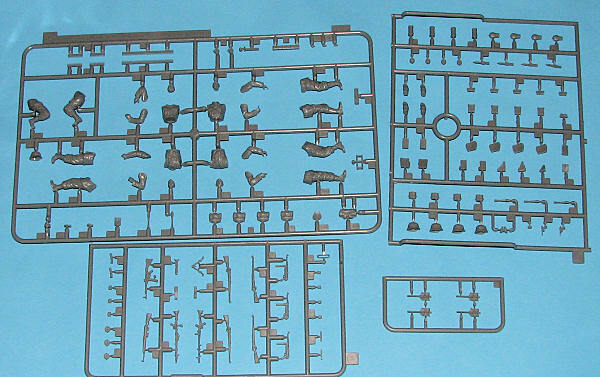 This kit includes a wealth of weapons and other 'Gen 2' molded gear. These are basically slide molded to get the best detail that includes hollowed out ends of the machine guns and other detail improvements. The detail on these parts and the rest of the bits really is top notch. Dragon does a superb job of molding these figure kits, which, along with the extra bits, is one reason they do so well. As is the norm with figure kits, there are not any paper instructions. Two quarter views of each figure show where the bits and pieces fit and there is complete painting information in both Model Master and Gunze paints. A section of uniform clothing is also shown that provide the color information. Much more can be gleaned from the box art. 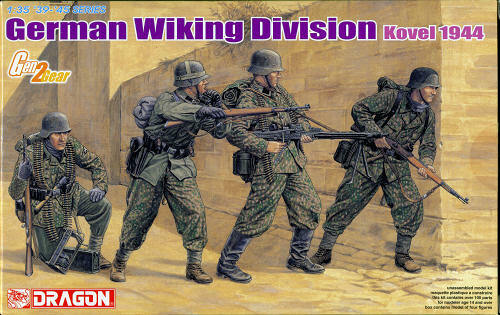 Another very nice figure set for those who like to add life to their models and dioramas. Thanks to www.dragonmodelsusa.com for the preview kit. Get yours today from your favorite shop or on-line retailer.